JACO Hybrid Training Center Owner Glenn Robinson is seeking an injunction against former Blackzilians coach Henri Hooft for violation of a non-compete agreement. Mike Perry was among the hundreds of UFC fighters who descended upon Las Vegas last month for the much-discussed UFC Athlete Retreat. And while there were a few grumbles to be heard regarding the festivities, Perry said he enjoyed the weekend thoroughly. In fact, his time in the desert included an elusive encounter with Ari Emanuel, the rarely-seen executive of WME-IMG and new co-owner of the UFC. “For 45 minutes, I sat by myself in this buffet area at breakfast and nobody wanted to mess with ‘Platinum’ Perry,” Perry recalled Monday on The MMA Hour. “… And then after about 45 minutes, one fighter comes up, his name is Dustin. His girlfriend and my girlfriend got along together, so he came and he sat with me. And then this woman, 30-something-year-old woman, sat across me, asked if she could. Given that Emanuel has effectively taken the reigns from the Fertitta brothers, Lorenzo and Frank, as the chief authority figure in the new UFC, such an inauspicious first impression may not have been Perry’s best move. But the hard-hitting welterweight simply laughed it off. WME-IMG made history last July when it purchased the UFC from the Fertitta brothers for a then-record $ 4 billion. Public statements from Emanuel and the new owners have been scant ever since, but Perry said Emanuel promised to him that good things were in store from the bosses at WME-IMG. Conor McGregor unified the Ultimate Fighting Championship (UFC) featherweight titles last Saturday night (Dec. 12, 2015) by knocking out Jose Aldo in the UFC 194 pay-per-view (PPV) main event (watch it), inside MGM Grand in Las Vegas, Nevada. And UFC co-owner Frank Fertitta was either really happy, or really pissed off. According to the other Fertitta, McGregor — who has yet to taste defeat inside the UFC Octagon — is great for the mixed martial arts (MMA) business because “Notorious” can move the pay-per-view (PPV) needle and shut down an entire country. His next appearance is expected to be a featherweight title defense against Frankie Edgar, unless the promotion grants his request to jump up to lightweight and challenge for the 155-pound strap, in which case Fertitta would have two belts to slam next March. XFS owner defends ‘soccer mom’ KO: Does this not happen on every level of MMA short of UFC? 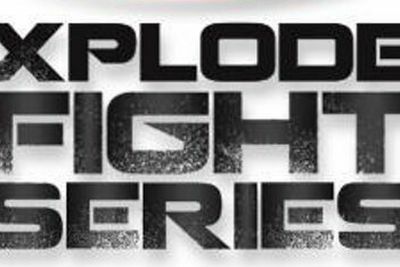 Xplode Fight Series (XFS) recently come under fire after a video showed what seemed to be an untrained “soccer mom” get brutally knocked out by a trained mixed martial arts (MMA) fighter. If you haven’t seen the video click here to get up to speed. Now, XFS owner Gregg Sharp is speaking out, saying that he sees nothing wrong with the fight — which occurred six months ago — and the controversy is nothing more than a YouTube “hater” trying to kick up some dust. After all, this isn’t the first — or the last — time that a fighter has been knocked out in the blink of an eye in any MMA promotion. Even if he could change things, Sharp says what’s done is done and he isn’t apologizing for those who are trying to discredit his promotion. The fight was not sanctioned by the California State Athletic Commission (CSAC) — it took place on the San Pasqual Indian Reservation in Valley Center. Still, Sharp isn’t going to shy away from the criticism that had it been under the CSAC’s jurisdiction, the fight would have never taken place. Something Sharp isn’t so quick to buy, using the recent Bellator 133 event — which went down in Fresno, Calif., earlier this year — that saw Cody Sons (0-1 as a professional and 0-3 in his three previous amateur bouts) take on (and eventually lose to) John Paul Elias, who was undefeated (2-0) at the time, via a 55-second knockout. “Ok please explain then how Cody Sons who was 0-1 as a pro 0-3 in his last 3 as an ammy, So 0-4 in his last 4 was sanctioned to fight John Paul Elias 3-0 in Bellator 133 in Fresno under CSAC? Are you saying that XFS is now being held to a higher standard than the matchmakers at Bellator and CSAC? Is this not an egregious match up that was actually matched and accepted three weeks prior to the show? Did someone out there other than Cody actually think he was going to win? How is it that Ken Tenario who is actually 0-23 (Two different Sherdog profiles) is commissioned to fight in any State Athletic Commissioned promotion? Guys that haven’t trained for years that are horrible fighters are called off the couches all the time and they are licensed and thrown to better talent. Do you want me to play historian and look at who is not fighting the best competition out there and who’s allowing it? This would be a 1,000 page article! If you look closely enough, which isn’t very close at all, you will see “what after the fact assessments” are called mismatches on 80 percent of all fighters’ records in the big leagues. It happens, all the time, the only reason this one is so prevalent is that someone drank some “Haterade” and looked to cause me some grief. But instead Ilima is now in the front of the line in a ton for a ton of top level promotions and most importantly Katie is fine and doing well. It appears that Sharp and XFS have a valid (albeit not great) argument. And perhaps this all could have been avoided had the promotion insisted that one of its female fighters not enter the cage in a blouse and yoga pants.